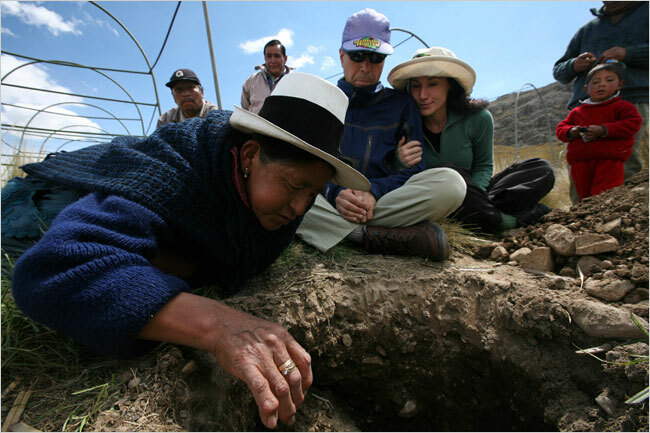 Excellent article in Today’s New York Times entitled On a Remote Path to Cures about the Peruvian herbal remedy maca, its cultivation, and the marketing of maca as a natural herbal supplement. The article tells the story of the complex relationship between this traditional herbal “cure,” the indigenous people whose livelihoods depend upon it, and the western companies that profit from it. Make sure to view the interactive multimedia presentation that complements the article in the Times.